Gary's Gems is a custom manufacturer of fine jewelry, especially faceted stones, custom mounts, and other unique jewelry. 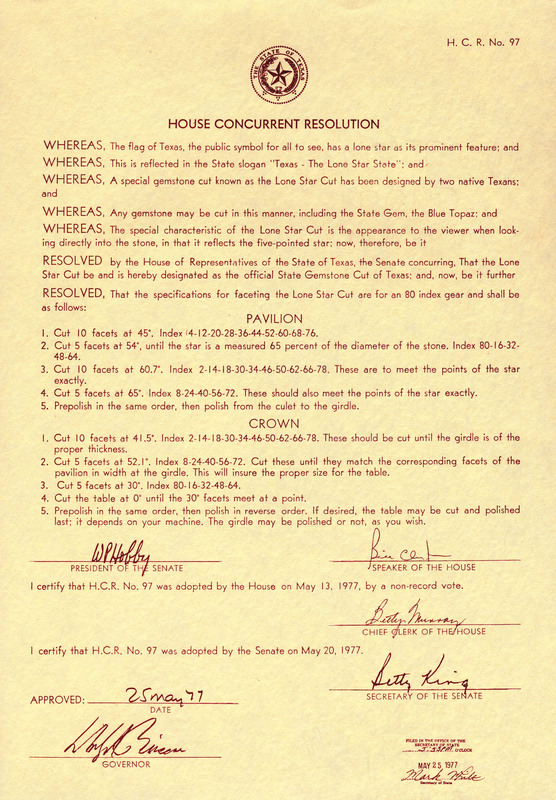 Blue topaz, the state gemstone of Texas, is available cut in the Official State Gemstone Cut of Texas, the LONE STAR CUT (see history below). This faceting design can be cut in any available stone (except diamond) by our master faceter, Gary Worden. The Lone Star Cut was designed during December 1973 and January 1974 by Dr. Paul W. Worden, Jr. and his brother Gary B. Worden, a science teacher and faceter. Dr. Worden , a physicist at Stanford University was visiting his brother in Texas for the holidays and wanted to learn to facet. Gary took him through the basics and Paul designed and cut a five pointed star in a small synthetic golden sapphire. Not satisfied with the excessive reflections in this stone, Paul returned to Stanford and redesigned the cut with the aid of a computer. He sent the result to Gary to evaluate, finalize and cut. 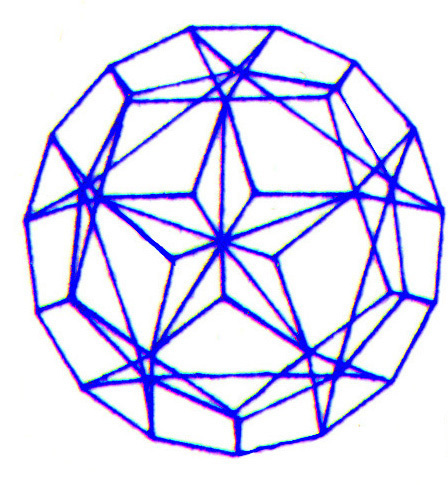 The result: a perfect five pointed star, not dim as with other designs cut below the critical angle or left unpolished, but bright and reflective, visible immediately from as far away as the stone is clearly visible. The angles for the pavilion make the star a type of corner reflector, which means any light striking it is reflected back to the source. Therefore, what you see when you look at the star is actually the reflection of your eye. The rest of the pavilion facets are designed to let light from other reflections escape, enhancing the star even more. The striking appearance of the star is due both to the fact that it is a corner reflector, and the fact that the rest of the stone is not. A deviation of only a degree from the calculated angles and much of the effect is lost.